Nine young women in Sweden recently received uterus transplants in ground-breaking surgery that may allow them to bear children. The team of scientists working on the project hopes it will lead the way to fertility restoration for women similarly affected by a range of medical issues. The project’s lead scientist, Dr. Mats Brannstrom, says many medical situations cause enough harm to the uterus to make pregnancy impossible, including being born without a uterus. If the experiment proves successful, Brannstrom estimates as many as 15,000 women in the United Kingdom alone could benefit from the procedure. Brannstrom is chair of the Department of Obstetrics and Gynecology at Sweden’s University of Gothenburg. The Gothenburg team recruited 10 women for the trial but one was eliminated due to medical reasons. The remaining nine recruits had either been born without a uterus or had had it removed as part of a treatment regimen for cervical cancer. The first transplant was conducted in September 2012. None of the women, most of whom were in their 30s at the time of transplant, has gotten pregnant yet but the next phase of the trial involves in vitro fertilization (IVF). In each case, the transplanted uterus, donated from a living relative, including recipients’ mothers, was not attached to the patient’s fallopian tubes. As a result, spontaneous pregnancy cannot occur but eggs were harvested from the study participants’ healthy, intact ovaries before the transplant and will be used for IVF in coming months. 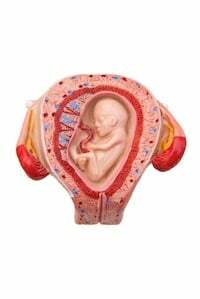 The transplants are temporary, with plans to remove the uterus after the recipient experiences two pregnancies. Removal will eliminate the woman’s need to take potent medications known to increase the risk of dangerous medical conditions that include cancer, diabetes, and high blood pressure. One girl out of every 4,500 is born without a uterus, a condition known as MRKH (Mayer-Rokitansky-Kuster-Hauser syndrome). Lise Gimre, 35, who has MRKH, says “If this had been possible when I was younger, no doubt I would have been interested.” Gimre is head of an organization devoted to women in Norway who have MRKH. Previously, womb transplants done in Saudi Arabia and Turkey proved unsuccessful but Dr. Brannstrom says his team performed “a new kind of surgery.” Similar work is being done in Britain, Hungary, and at various medical learning centers throughout the world. Brannstrom further states, “We had no textbook to look at,” underlining the purely experimental nature of the trial. To remedy that situation, the Gothenburg team plans to conduct the world’s first workshop instructing others on transplanting a womb and it expects a scientific report will be published in the near future. “Nine Swedish women receive womb transplants.” BBC News Health. The BBC. Jan 13, 2014. Web. Jan 23, 2014. Logarta, Michael. “First successful womb transplants raise hope and fear.” GMA News Online. GMA Network. Jan 21, 2014. Web. Jan 23, 2014.